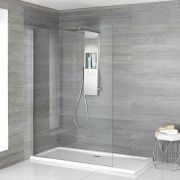 The Milano Vaso walk-in enclosure with slate effect tray and shower tower is a great option for adding designer style to any bathroom. 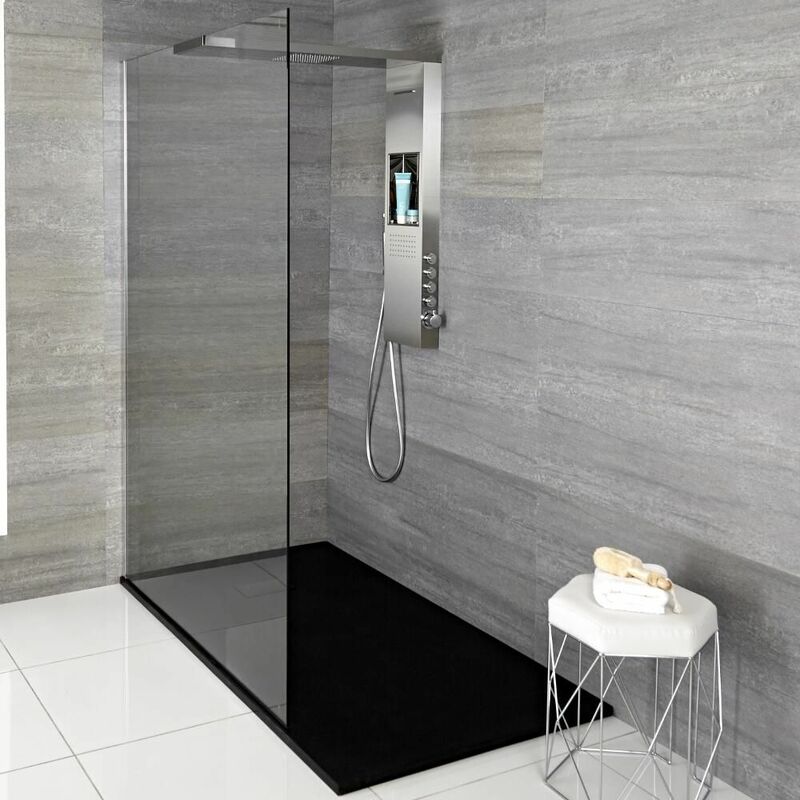 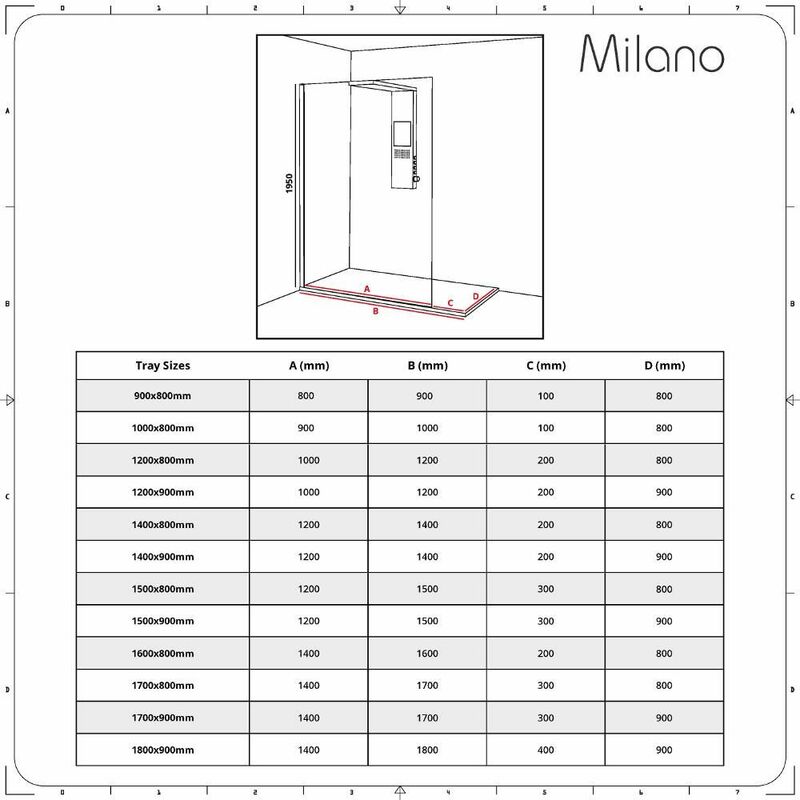 This complete shower system includes everything you need to create the perfect walk-in enclosure; including tray, glass and the stunning Vaso glass-grabbing shower tower - simply select your enclosure size from the dropdown and we'll do the rest. Delivering a spa-like showering experience, the shower tower features a waterblade function, hand shower and body jet. The glass-grabbing design creates a minimalist look, whilst supporting and stabilising the glass screen without the need for unsightly and awkward support bars. 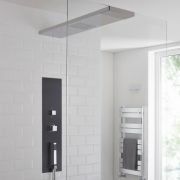 The shower tray has a graphite slate effect finish for a natural feel and a lightweight yet durable construction. 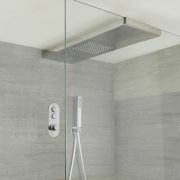 This cutting-edge 'Vaso' shower tower holds the wet room screen firmly in place, creating a minimalist look by removing the need for bracing bars. 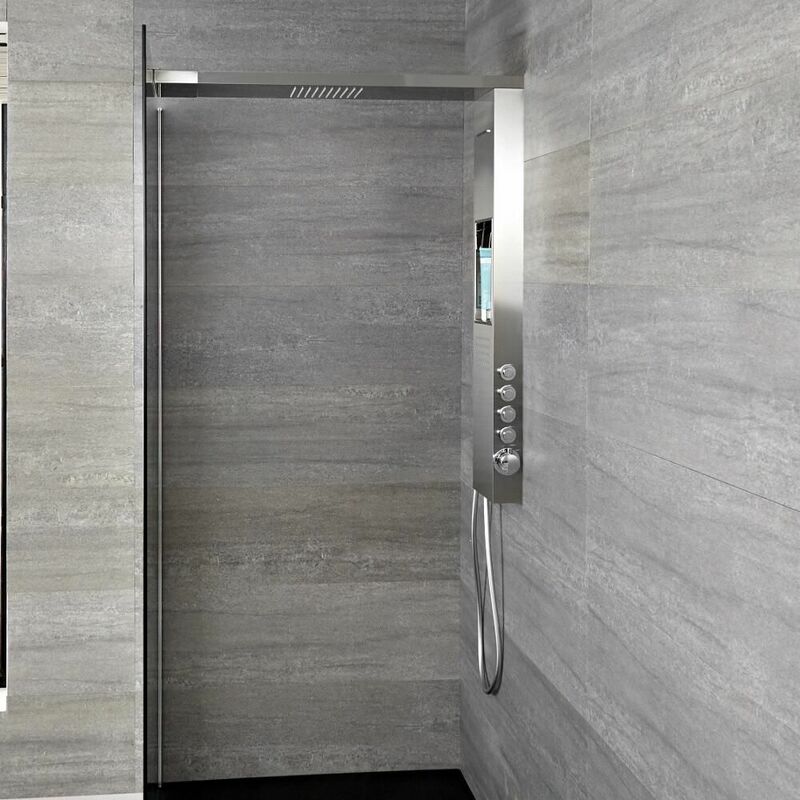 This shower comes with intergrated chest-level storage, de-cluttering your shower space. 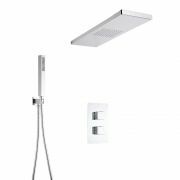 Enjoy a spa-like showering experience with body jets, water blade, hand shower and rainfall shower head. The sleek, push-button features can be used simultaneously and feature a thermostatic safety function to avoid scalding. 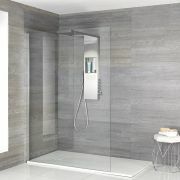 This enclosure is made from super-strong 8mm glass, which not only looks great, but gives the enclosure extra sturdiness. 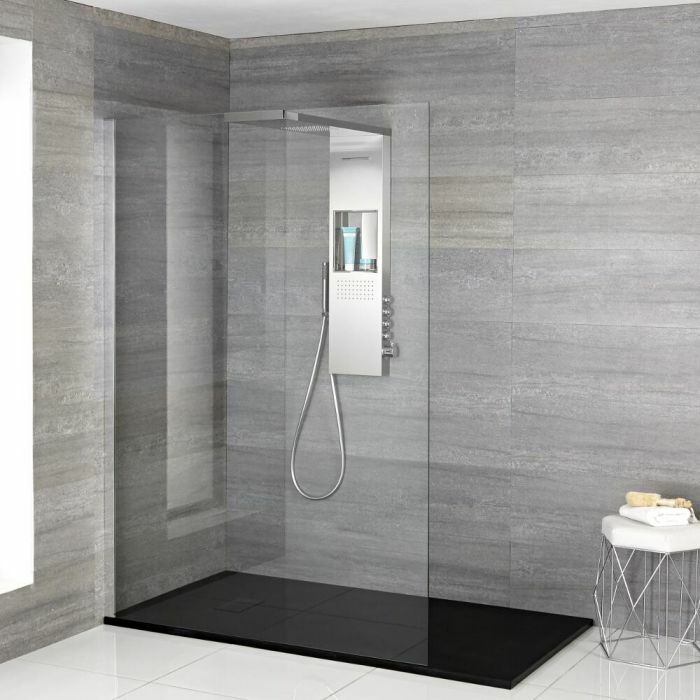 The easy-clean protective coating protects against dirt, grime and soap scum build-ups. 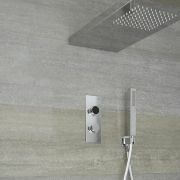 The stunning slate effect shower tray measures just 30mm high for a sleek, low-profile natural look. 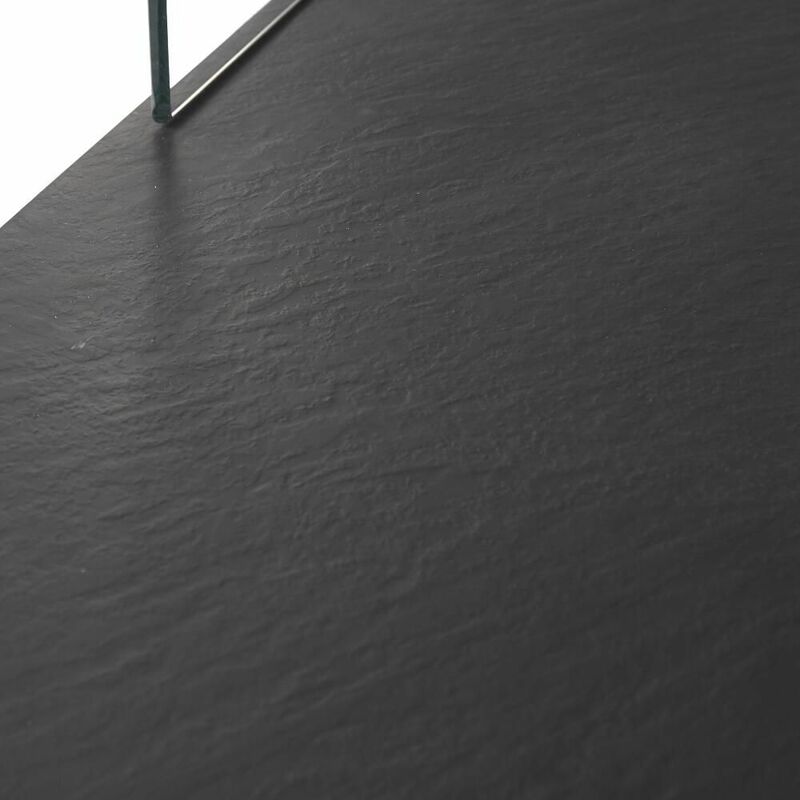 Made from super compressed SMC, the trays are stronger and flex much less than conventional acrylic / fibreglass models.